9000+ Camping-related locations across Australia. it takes just 60 seconds to sign up. and make your camping trips a blast across all of Australia. Guess what, Full access to our online directory and interactive map is 100% free. Accessing the 9000 listings is completely free, and provides some of Australia’s most comprehensive information on camping related locations all around Australia. Not just campsites. Browse rest areas, shops, mechanics, repairers…even pubs! Our free directory will help you find what you around need wherever you are in Australia. The Free Maps load fast and extremely responsive. You simply need to drag the map around, zoom in our out by pinching and the map marker locations will instantly populate in front of you. Along with our 9000 camping and business listings, you can search for nearby atms, parks, petrol stations and just about any other location you can think of right inside the maps. Take a minute to fill out the form below & access 9000+ camping spots, facilities, mechanics, repairers, restaurants and much, much more. After registering, a confirmation email will be sent to your address. To activate your account, you will need to click the link in the email you register with. 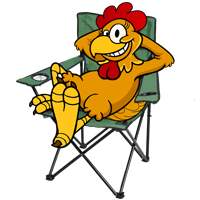 Are you the owner or manager of a Campground, Caravan park or local Business? Add your linking to the directory below! Have a great location that you think deserves to be added to our directory? Suggest it with the link below!